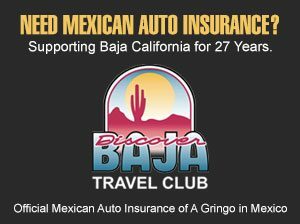 TIJUANA – Explosions were heard in the vicinity of Estadio Gasmart in Tijuana’s del Cerro neighborhood Saturday night, as the city’s 10,000-strong battalion of the KISS Army massed to defend their right to Rock and Roll All Night – and presumably – Party Every Day. 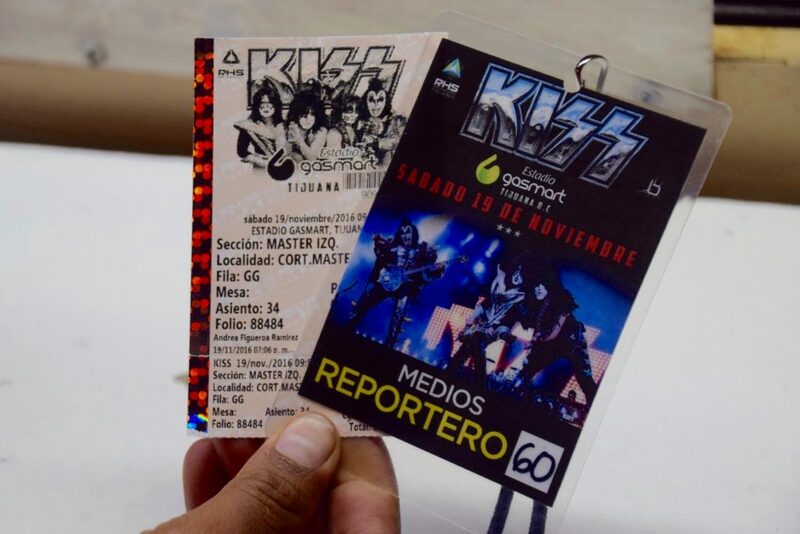 War correspondent A Gringo in Mexico was on the ground to report on the unprecedented invasion of Tijuana by rock and roll icons KISS — who stormed the city for the first time ever on November 19. 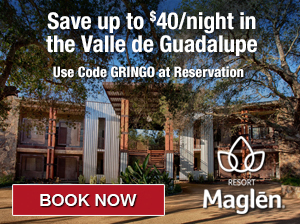 “It seems like a dream,” Penny, a battle-hardened Tijuana KISS Army vet shared with us. 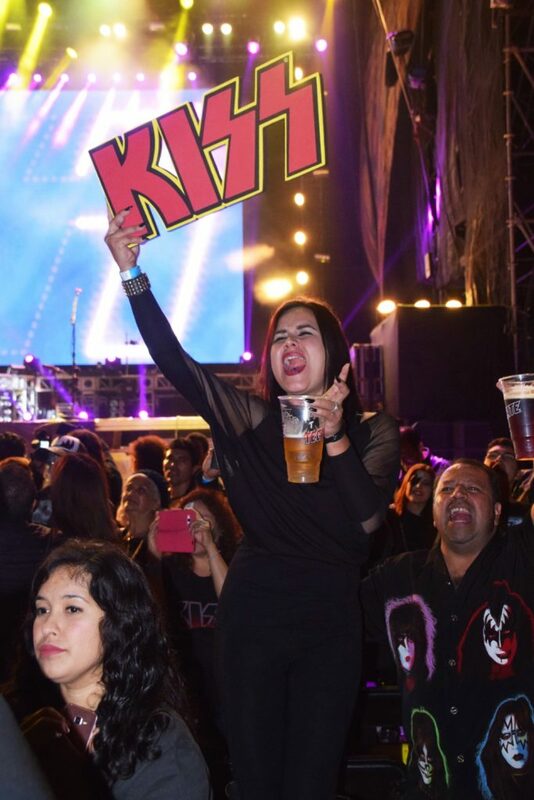 “I saw them in San Diego – once in the 70’s and then the 80’s – but never thought I’d ever see them here in my hometown.” Penny and other members of he KISS Army fortified themselves before joining the front with hot dogs, tacos, cervezas and other K-rations from stadium supply stores. 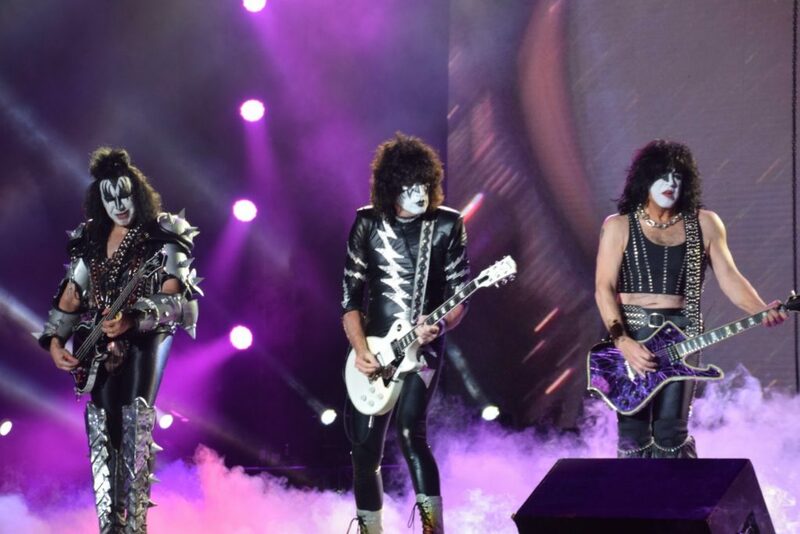 Making their landing on Estadio Gasmart’s stage at 21:00 hours sharp, KISS quickly went on the offense, delivering a blazing rendition of Detroit Rock City that obliterated the screaming crowd. 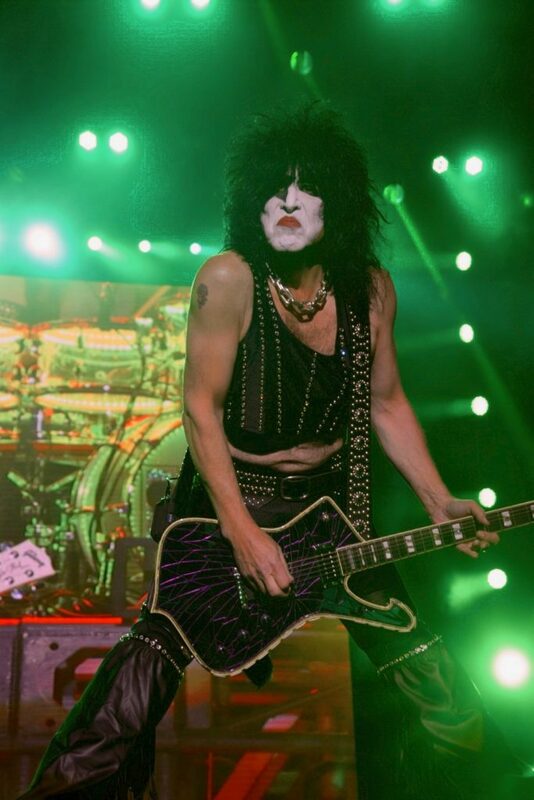 And although band co-founder and lead singer Paul Stanley declared, “I feel uptight on a Saturday night!” the KISS Army felt anything but, establishing an early foothold against the rock onslaught to follow. The band dug their 7” leather heels in and lobbed classic mortars Strutter, Do You Love Me, and Cold Gin into the crowd. 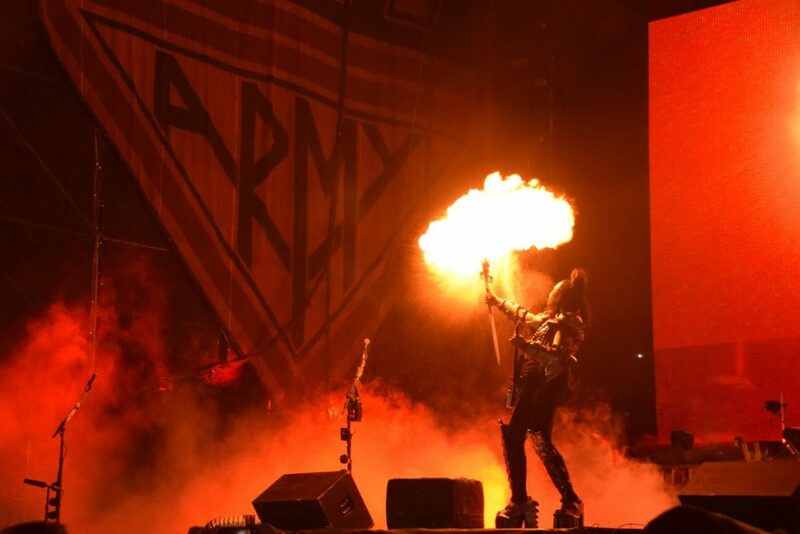 As the KISS Army surged to the front, the band quickly switched to the defensive, fragging the audience with their Love Gun — whose beat syncopated with exploding firepots at the band’s flank. They also demonstrated their newer arsenal with tunes I Love it Loud and Lick It Up. Co-founder and bass guitarist Gene Simmons barraged the crowd with a devastating God of Thunder and an apocalyptic War Machine. Apparently injured – as he was visibly spitting blood – the demon was air lifted to a platform high above the stage as he continued to shoot off round after round of reverberating bass riffs. At this point, it appeared that the KISS Army and their heroes had reached detente, as the band offered up the conciliatory I Was Made for Loving You. 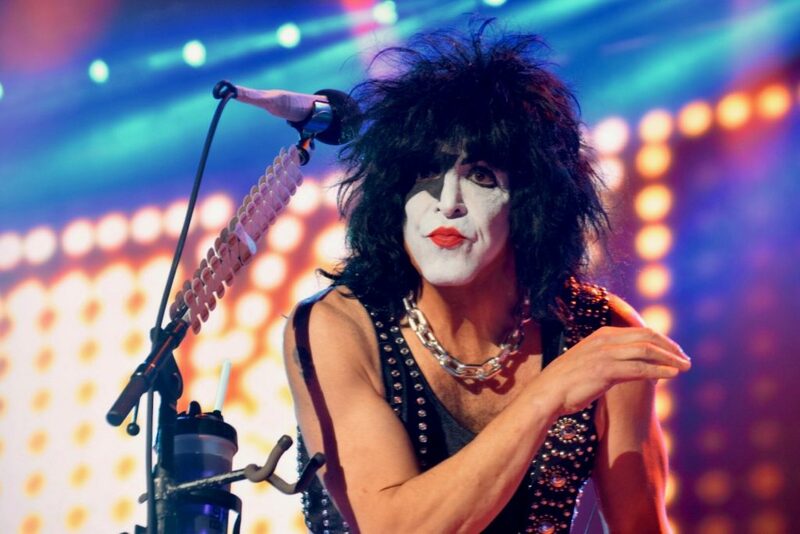 Guitarist Tommy Thayer and drummer Eric Carr fell in-step with the disco beat and hearts, minds, and dancing feet were conquered. 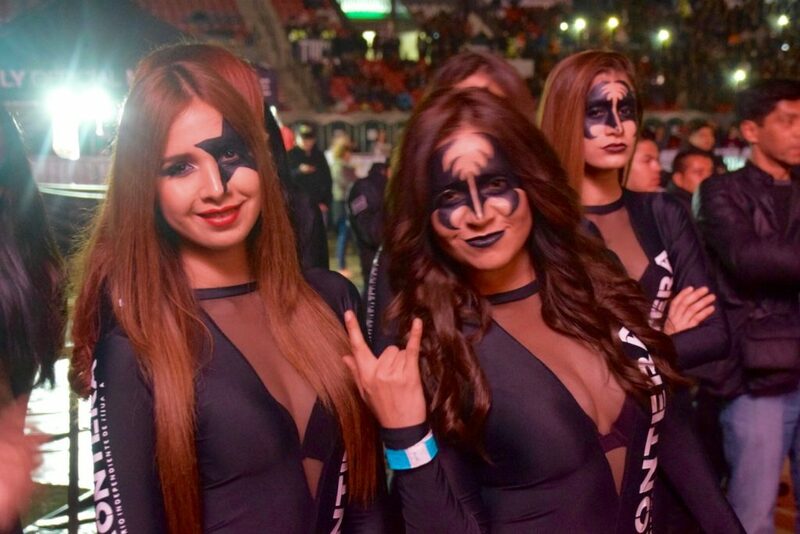 Child soldiers in KISS face paint were also recruited to join in the battle for the right to rock. They marched with their parents and represent the few, the proud, the Tijuanense who will carry the torch of rock and roll for the next generation of the KISS Army. At the end of the night, KISS went out in a blaze of glory with coup de grâce, I Want to Rock and Roll All Night. Confetti cannons blasted and the ammo dump was ignited, sending an array of fireworks into the glowing sky. 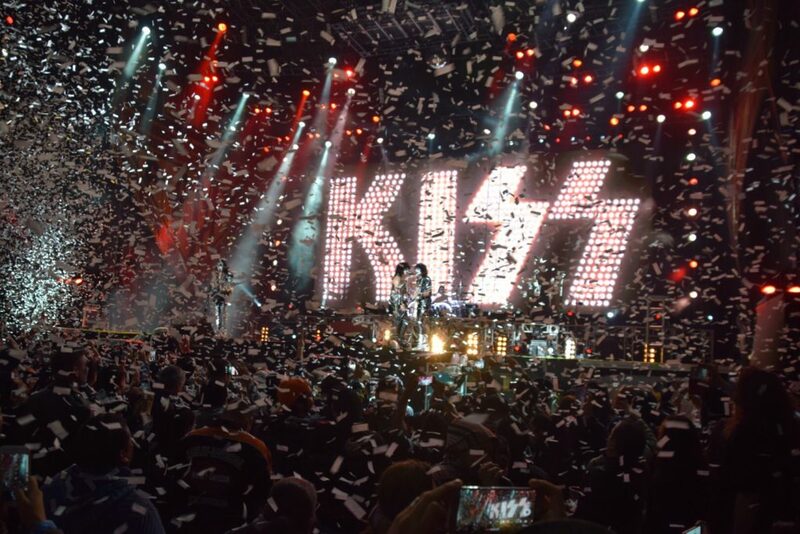 The KISS Army dissipated and was deployed home, hopeful that the band would return to do rock battle another day.